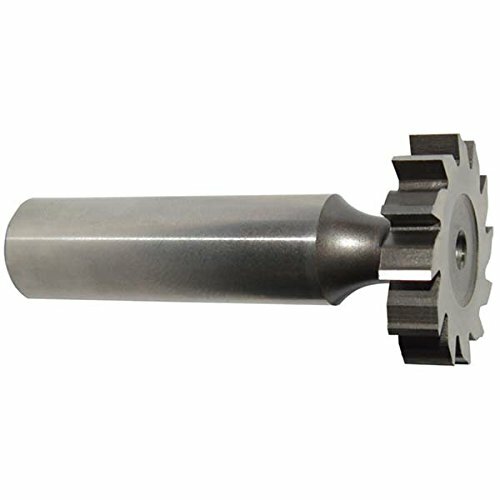 KEO woodruff keyseat cutters are extremely versatile profile milling cutters. Although originally designed to mill standard woodruff keyseat, they now satisfy a variety of applications from milling slots to milling threads. Cobalt steel tools are similar to high-speed steel, but with more cobalt for improved performance when cutting harder metals such as stainless steel or nickel alloys. Uncoated tools feature just the base substrate without any additional treatment or coatings and are suitable for a wide range of applications. Round shanks allow use with a wide variety of toolholding systems. When run in a counterclockwise direction (right-hand cut) spiral fluted tools evacuate chips up and out of the cut to reduce clogging.